I am trying to hold on to every inch of Summer by regularly rocking a bright bold lip, and everyone knows that the key to the perfect statement lip is a good base of lipliner! I am slowly (but surely) making my way through all of my bright lipsticks and these LA Girl lipliners have been providing the perfect base. I’m saving the deeper shades for when the Autumn browns and berries hit and the Summer brights get banished to the back of the drawer. I tend to go for the pinks and oranges so these top two shades have been well loved. They have great colour pay off, enough so to be worn by themselves. They’re perfect for creating a gradient lip as you have a lot more control of the colour than you would with lipstick. Then they can easily be smudged out with a bit of lip balm. 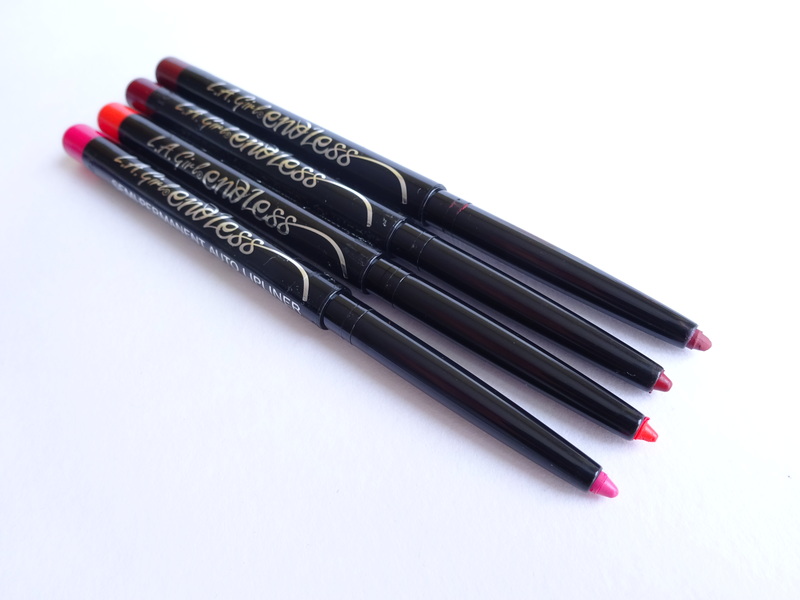 These lipliners have a slightly waxy feel to them and therefore aren’t too drying. I have super dry lips so I always prep my lips with my beloved Nuxe Reve de Miel lip balm. I even top off the colour with some more lip balm to give a sheen to my lips. The best thing about these little pops of colour is that they are cheap as chips at under a fiver! Unfortunately they aren’t exactly widely available in the UK. I found mine in Beauty Base. 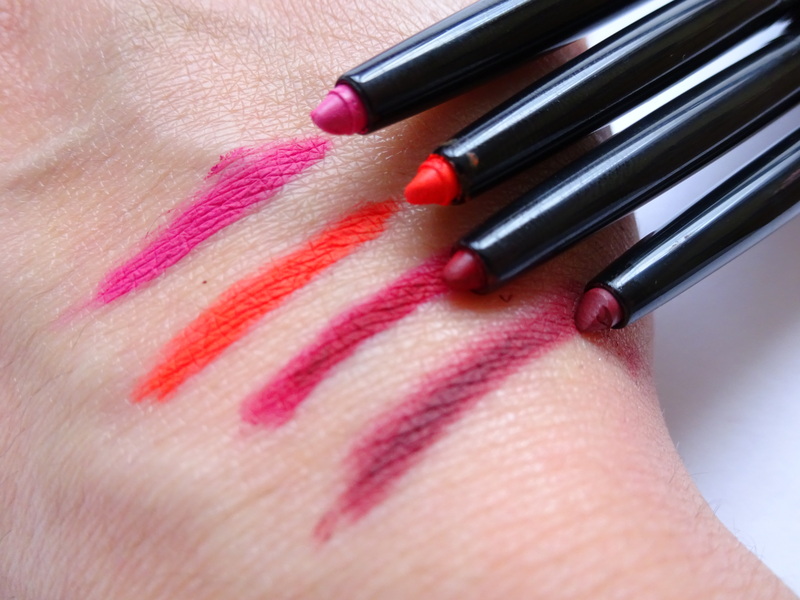 So if you happen to come across them – GET THEM ALL – I mean they double not only as a liner but as a lipstick too (I’m justifying it). 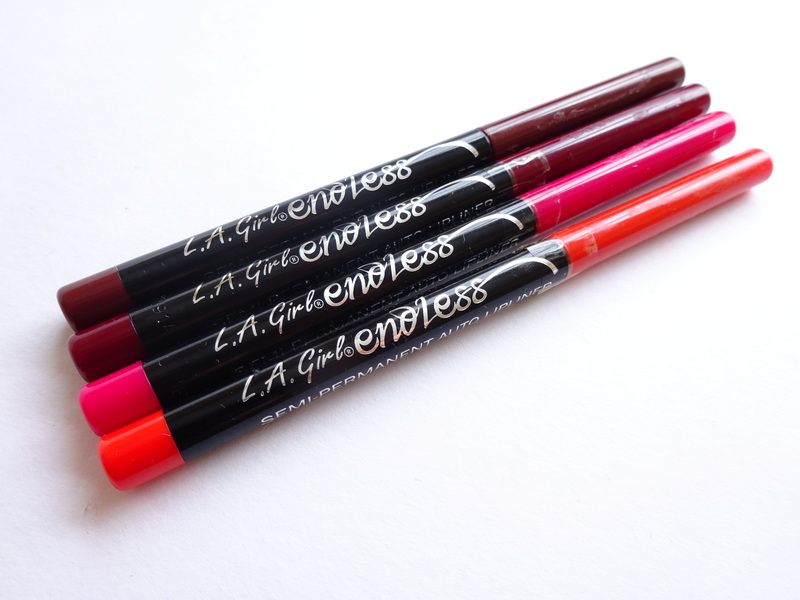 I was so impressed with these that I am now intrigued to try some more LA Girl products. I’m particularly being drawn to the Pro Conceal to contour with. Have you tried any LA Girl products that I just can’t live without? What are your beauty bargains?